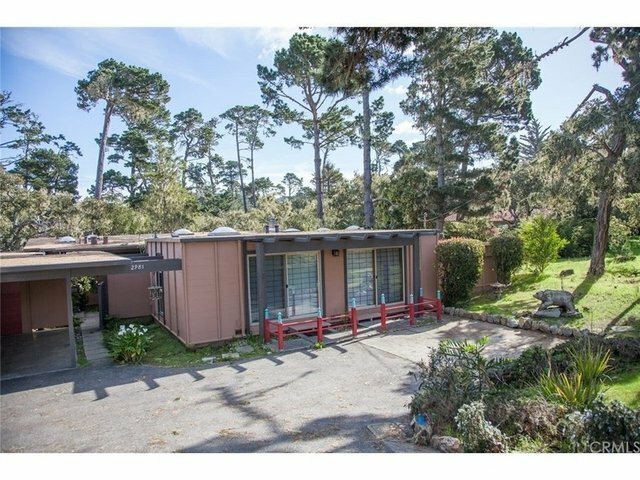 Well maintained Pebble Beach house with mid century character. This lot is tucked in perfectly next to Sloat Road where it is a peaceful and quiet retreat. The lot is capable of accommodating a larger footprint house if you should desire and it is very secluded. There is already mature vegetation and trees on the lot so you don t have to wait for those to reach full size. There are many options for making this property your own whether it s a mid century remodel or a more extensive development.